Item # 315095 Stash Points: 395 (?) This is the number of points you get in The Zumiez Stash for purchasing this item. Stash points are redeemable for exclusive rewards only available to Zumiez Stash members. To redeem your points check out the rewards catalog on thestash.zumiez.com. Keep your Dark Seas love going with the Tonkin sticker. 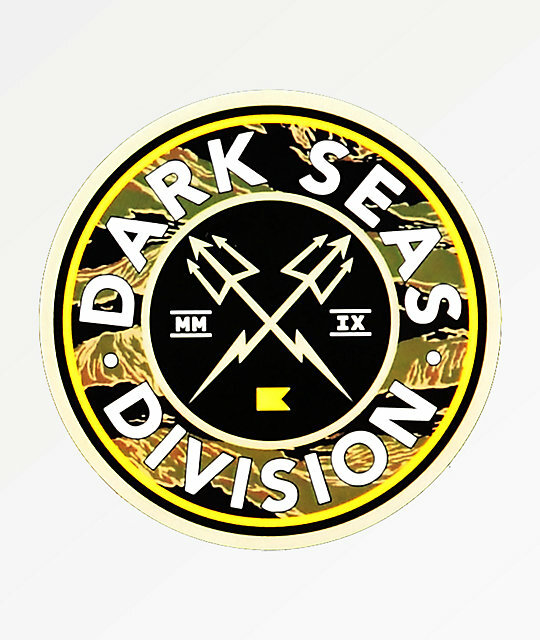 Easily peel and stick this round branded sticker to any smooth surface for a hint of the Dark Seas style with a black and tiger camo flair. Tonkin Sticker from Dark Seas. 2.38" diameter | 6cm (approx. ).